Airbus and China Aviation Supplies Holding Company signed a general agreement covering the purchase of 300 Airbus aircraft by Chinese airlines. The agreement was signed in Paris, France, by Guillaume Faury, president of Airbus Commercial Aircraft, and Jia Baojun, Chairman of China Aviation Supplies (CAS). Chinese President Xi Jinping and French President Emmanuel Macron attended the March 25 ceremony. The agreement is comprised of 290 A320 aircraft and 10 A350 XWB aircraft. Airbus explains this purchase agreement illustrates the strong aircraft demand of Chinese carriers in all market segments, including domestic, low cost, regional and international long haul. According to Airbus’ China Market Forecast 2018 to 2037 report, China will need some 7,400 new passenger and freighters aircraft in the next 20 years. The company states this represents more than 19 per cent of the world total demand for more than 37,400 new aircraft over the same two-decades. By the end of January 2019, the in-service Airbus fleet with Chinese operators totalled some 1,730 aircraft, according to Airbus, of which 1,455 are A320 Family, and 17 are A350 XWB Family planes. 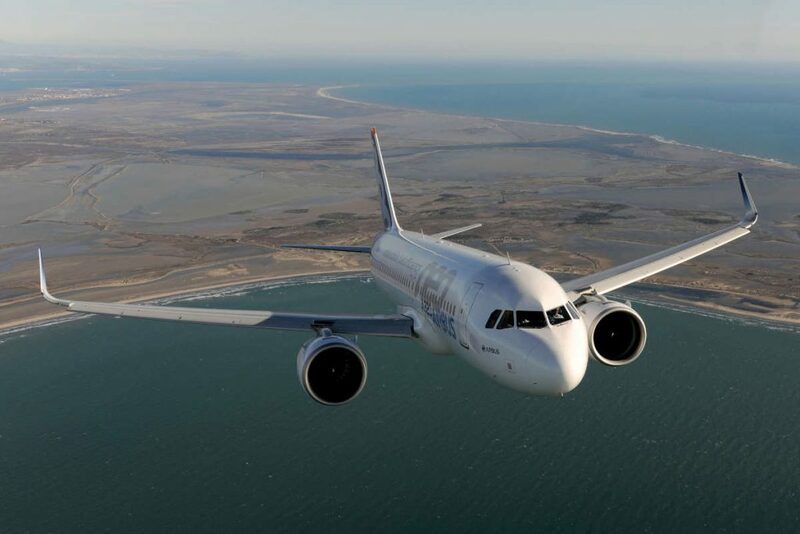 With more than 14,600 A320 family aircraft ordered and over 8,600 delivered, Airbus describes the A320 as the world’s most-successful, single-aisle aircraft series platform. Of these, the A320neo family – noted by the company as the world’s best-selling, single-aisle aircraft – represents more than 6,500 orders from over 100 customers. The A320neo family was launched in 2010. The newest generation A320neo includes new engines and what Airbus describes as the industry’s reference cabin design – “delivering 20 per cent fuel cost savings alone.” Airbus also states the A320neo has nearly a 50 per cent reduction in noise footprint compared to previous generation aircraft. The A350 XWB is a long-range (9,700 nm), wide-body aircraft designed to accommodate more than 400 seats or as few as 300. It features carbon fibre fuselage and wings, plus new fuel-efficient Rolls-Royce engines.